An intranet resolves around its content and the findability of the content. Providing the user with useful information is vital for a good intranet. An example of providing useful information is to show related new articles besides a news article. 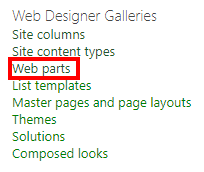 The solution consist of three parts the content type, page layout and a content query web part (CQWP). 1. Create a new content type with Article page as parent. 2. Create a term set named news categories. 3. Add a few terms. 4. Add a new column named News Category linked to the news categories term set. 3. Link the news content type to the page layout. 5. 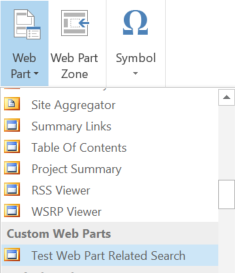 Add a CQWP to a web part zone. 6. Configure the CQWP to show the news items. 7. Configure the Additional filters. 6. 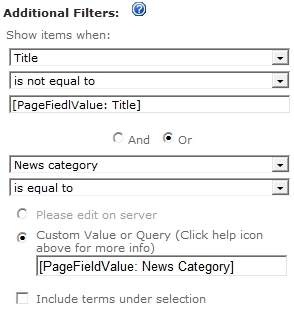 Show items when: News catergory is equal to [PageFieldValue: News Category]. 7. Or Title is not equal to [PageFiedlValue: Title]. 7. Add the News Catergory column to the page layout. 8. Save the page layout and enjoy the result.